The church was intended to appear old from the day it was completed and, in doing so, makes reference to several superb historic neo-gothic and neo-Romanesque churches in Washington. 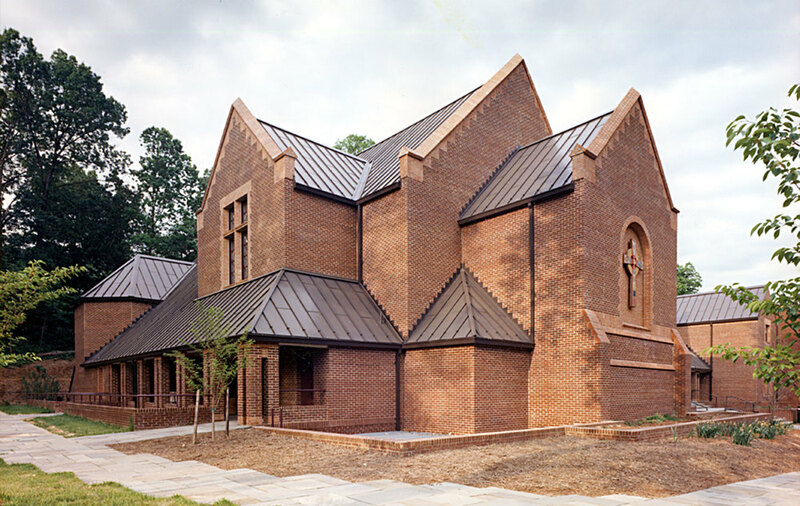 Because the church is surrounded by small-scale traditional brick houses, the design is broken down into an abundance of small, gabled brick shapes. In addition to the church, the interiors accommodate administrative offices, space for elementary and Sunday school use, a library, and a center for senior parishioners.